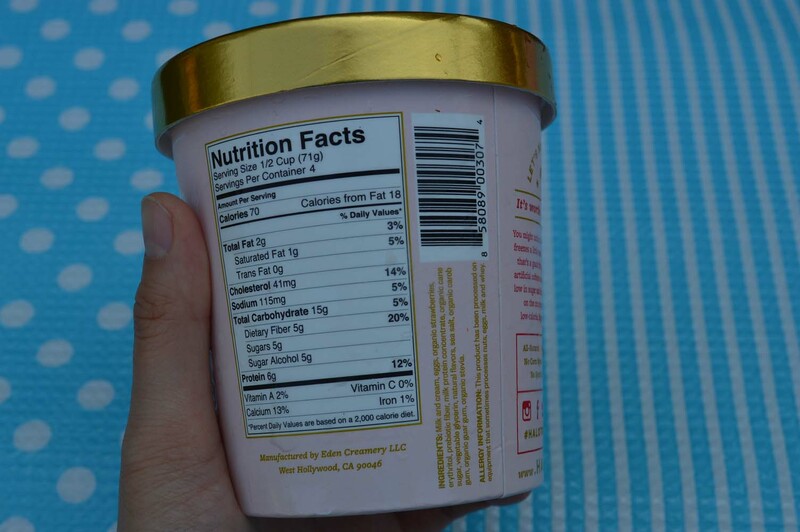 HALO TOP CREAMERY IS HEALTHY ICE CREAM THAT ACTUALLY TASTES AMAZING! - EAT WITH HOP! 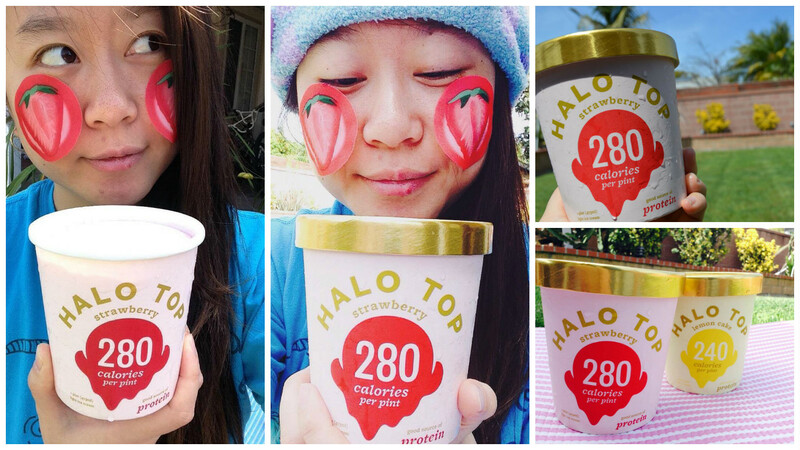 Home / CA / DESSERT / GIVEAWAY / ICE CREAM / LA COUNTY / LOS ANGELES / ORANGE COUNTY / HALO TOP CREAMERY IS HEALTHY ICE CREAM THAT ACTUALLY TASTES AMAZING! 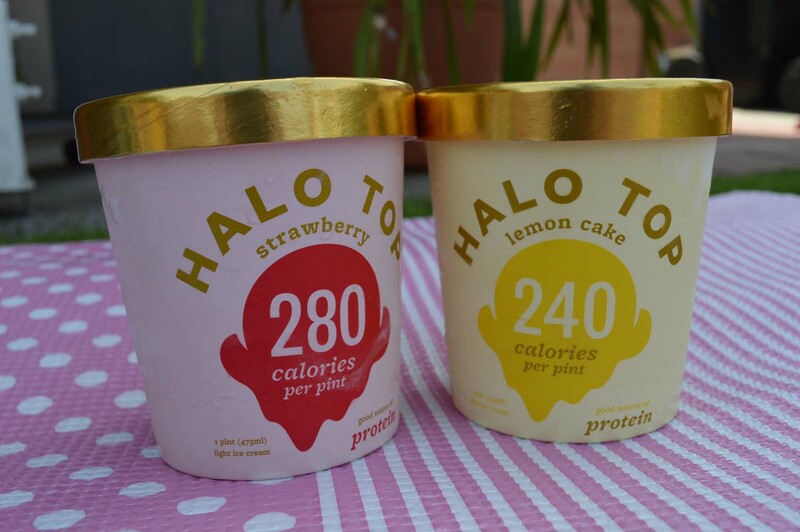 HALO TOP CREAMERY IS HEALTHY ICE CREAM THAT ACTUALLY TASTES AMAZING! 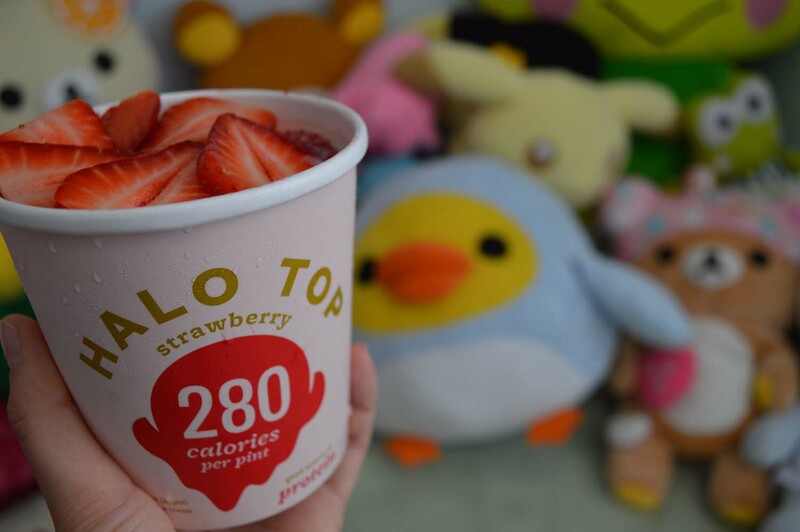 280 calories and under? I don't normally count calories but count me in on finishing this ice cream! Found it at my local Whole Foods Market! YAY!! A bit pricey for a pint BUT WORTH A TRY! 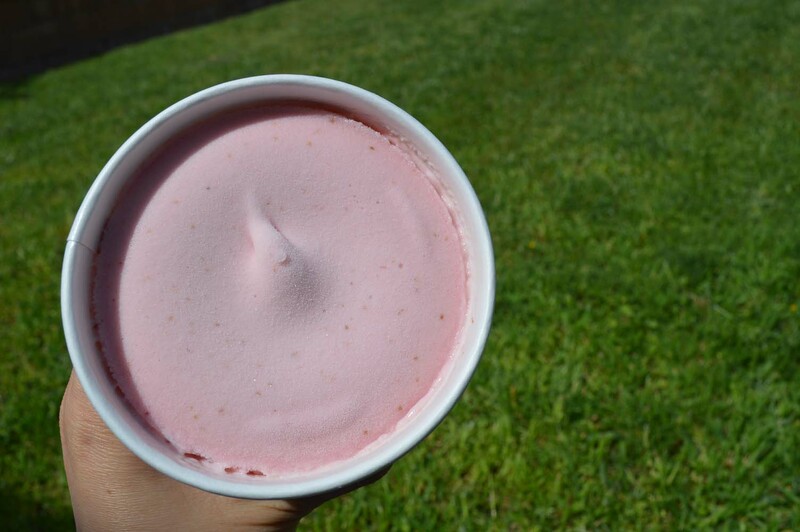 Went outside on this nice SoCal weather type of day with some facial point pads that look like strawberries on my face! Totally matches the strawberry ice cream, right? But you know what? Sometimes I just wanna eat ice cream in the comfort of my own room all cozy in my furry blanket and watching the new episode of Erased. High five if you are an anime fan and watch Erased (Boku Dake Inai Machi)!! And also, pamper myself with facial masks while enjoying a pint of ice cream. I also like to enjoy my backyard too! I am blessed to have a beautiful backyard with plants and a refreshing green lawn to have a mini picnic by mself, read a book or watch my fave shows. I had a little bit of trouble finding this friend of mine. 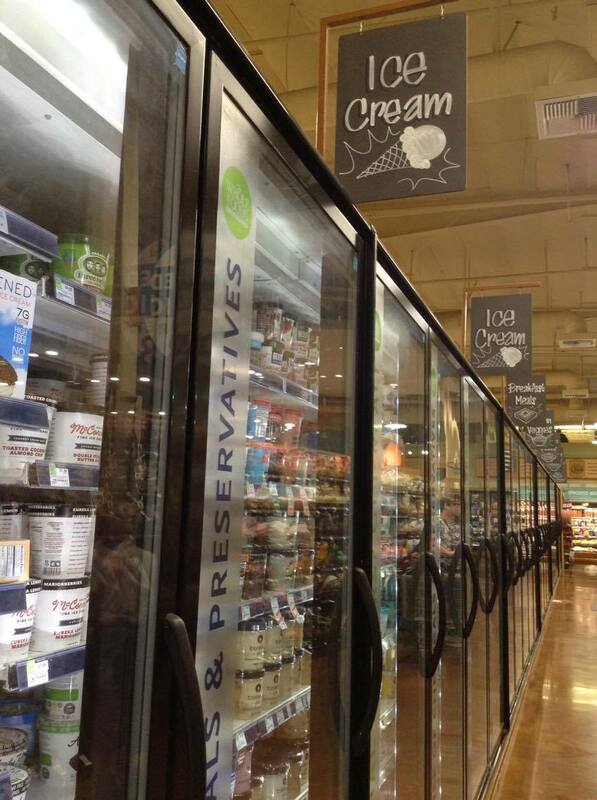 According to the store locator, it is supposed to be available at Ralphs nearby. Unfortunately I called the store and it isn't stocked there. Boo! But! 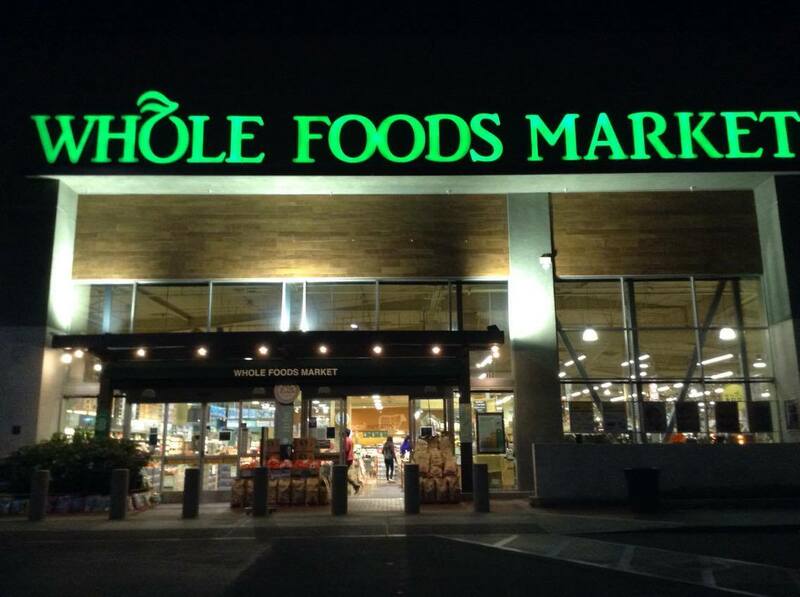 Whole Foods did not disappoint! 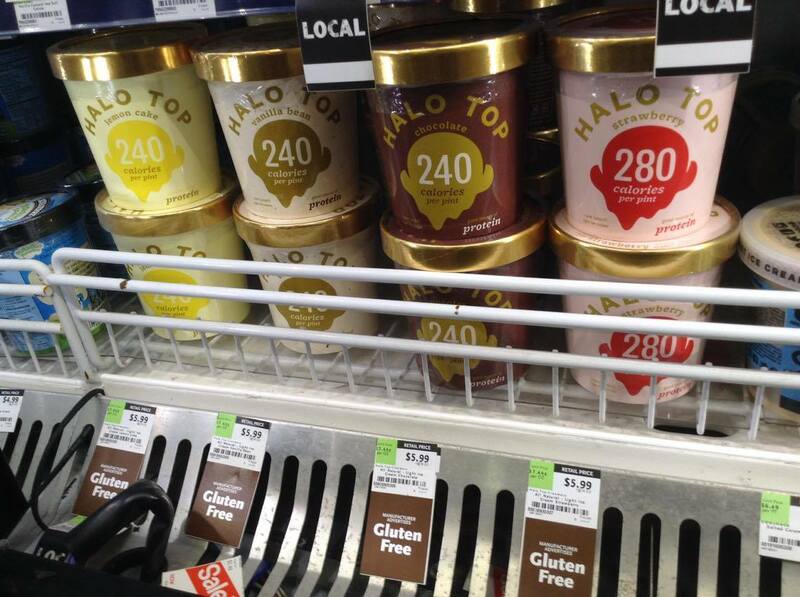 I went to the local Whole Foods Supermarket at Bella Terra (Huntington Beach) and found a few left in stock. According to the staff there, they sell out quite fast! So I was lucky to get my hands on a few! 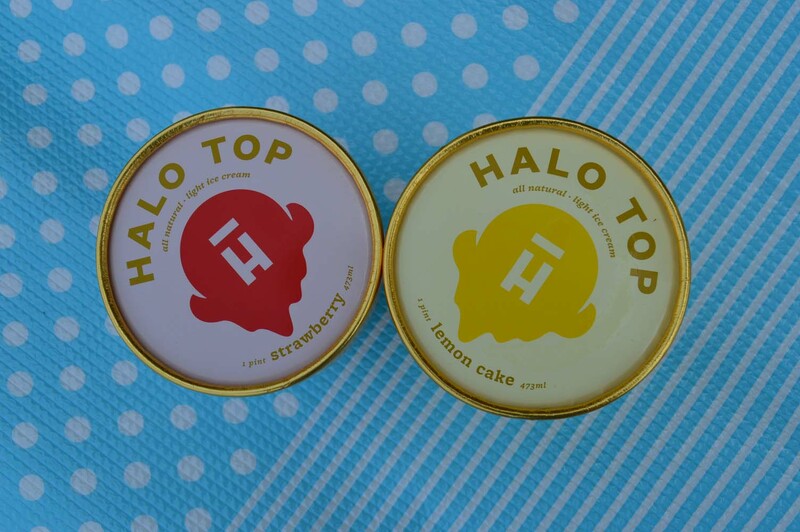 I got the Lemon Cake and Strawberry! At $5.99 a pint it does sound expensive. But you gotta treat yo`self right sometimes, ya know? Splurge a little on something worth it. And it is. I'd say the price is comparable to artisan ice cream you'd get at a fancy hipster ice cream parlor and maybe the scoops would be smaller there. 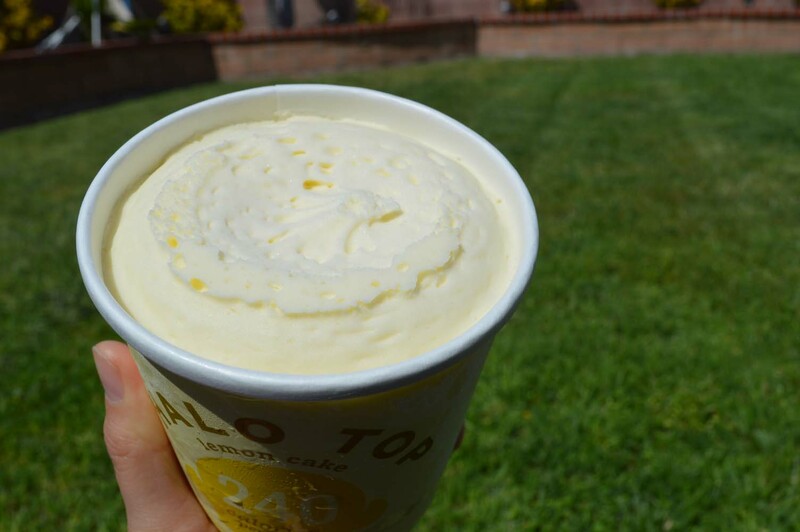 So trust me, a pint is huge (much more than 2 big scoops) for one person and for the price is not that bad at all. 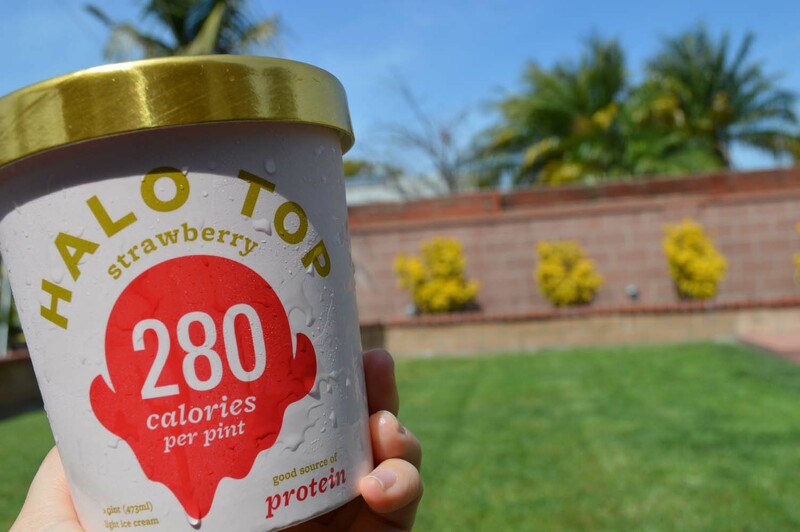 However, I could totally finish a pint in one sitting, guilt-free because it's only 280 calories! Woo Woo! 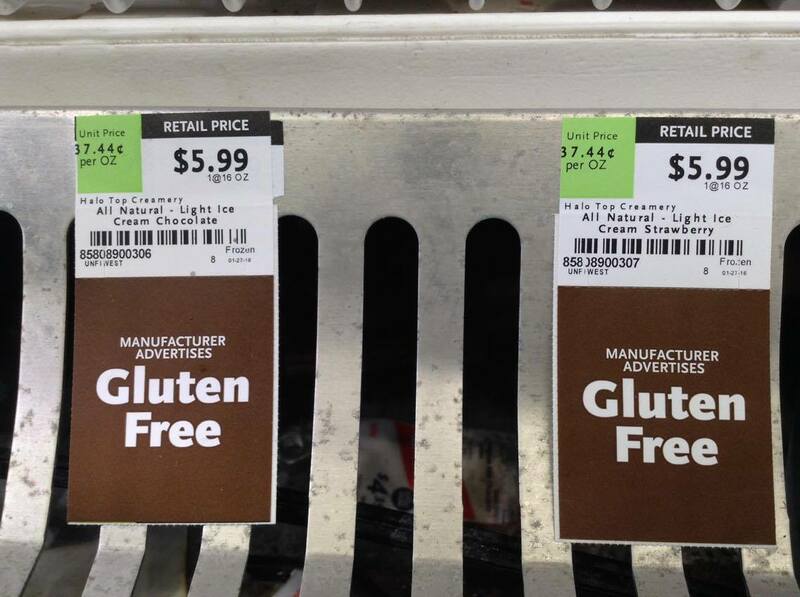 Best of all, although it's gluten-free, all natural with no artificial anything involved, it still tastes fantastic. Finally, healthy that actually tastes good. Okay. I wouldn't say healthy.. but less... bad? 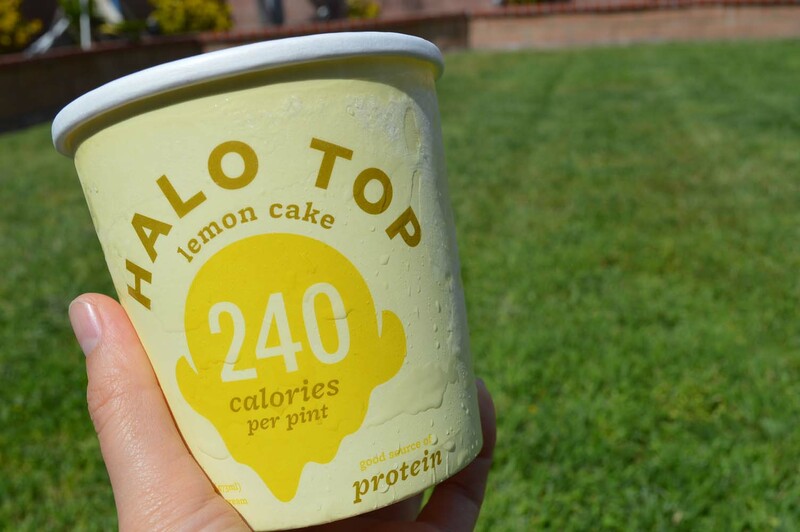 The lemon cake is hands down my fave out of the two. 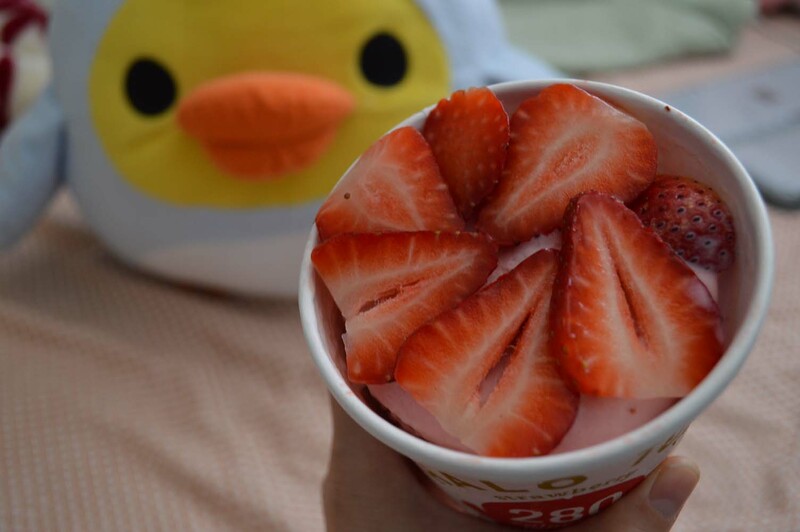 Strawberry was amazing as well and my boyfriend Kevin complimented on how it actually tastes like real strawberries. Because I'm sure they do use real strawberries! I love it! Why y'all need to try it to believe it! Made locally in West Hollywood! PHILZ COFFEE COMES TO ORANGE COUNTY THIS SUMMER! DOES THE COCO JACK ACTUALLY WORK AS ADVERTISED? FREE ICE CREAM AT HAAGEN-DAZS ON MAY 10!